Insurance policies are products designed to manage risk and protect individuals from possible losses due to unforeseen events. Because of the coverage it provides, insurance is vital for a strong financial plan. But with the different types of insurance policies offered in the market today, it can be challenging to determine which are essential to have and which you can do without. To help you choose, here’s a list of insurance policies that protect your most important assets. If you are the breadwinner in the family or if there are people who are financially dependent on you, you need to be insured under life insurance. Life insurance is designed to protect your beneficiaries should you face an untimely demise. This policy replaces your income, enabling your loved ones to maintain their quality of life and recover from your loss. When determining how much life insurance coverage you’re going to buy, factor in not just your annual income but also burial expenses. Unexpected trips to the hospital can result to a hefty bill that can easily derail your finances, especially if you’re unprepared. But with health insurance, your budget can avoid the impact of unforeseen illness or hospitalization. Companies usually provide health coverage for their employees. If you are working, see if this is a part of your employee benefits. Meanwhile, you can always apply for a policy independently. Have you ever wondered how will you cope financially if you suddenly get injured and become unable to work? Disability insurance gets you covered when that happens. This policy replaces your income if you couldn’t work for an extended period of time due to a disability. Your premium will be dependent on your occupation and your risk of getting disabled while at work. A house is one of the most valuable possessions a person has. For most people, it must’ve taken years to purchase or build their dream homes. Since this is the case, it’s vital that your home be protected under home insurance. Home insurance provides financial protection when your house needs to be repaired. This policy also provides coverage that allows you to stay elsewhere while your home is being restored. Depending on the policy, this also gives you liability coverage should someone gets injured in your property. Meanwhile, those who rent should get renter’s insurance. This type of policy provides protection for theft, and damages due to flood, fire or lightning. Aside from being required by the law, car insurance is vital for people who own a vehicle. Automobile insurance provides coverage for repairs and possible lawsuits caused by a road accident. Although you wouldn’t wish for your car to get involved in any type of road mishap, you need to consider that the expenses mentioned could easily pile up and cost you a huge amount if your vehicle is uninsured. If you’re young and healthy, it’s hard to think about the possibility of needing care when you grow older. However, experts advise that you purchase long-term care coverage as early as your 50s or before retirement. This is because long-term care services are getting steeper each year and its cost can easily deplete your retirement nest-egg. Also, long-term care insurance premiums are highly dependent on your age and health, so it’s best to purchase when you’re still young and in great shape. 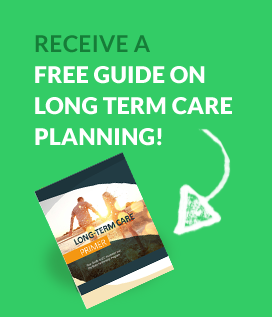 It’s easy to assume that you won’t need long-term care in the future and just forego the policy. However, latest statistics show that 70 percent of 65-year-olds and 41 percent of people who are between the age of 18 and 64 will need some form of care services. 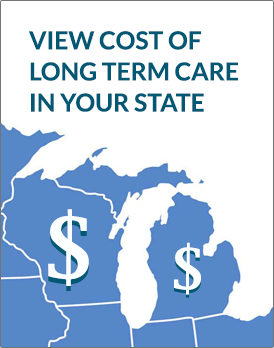 That’s why it’s best to have this policy in case you find yourself in a situation where long-term care is required. Planning for the future includes a lot of what-ifs. With the help of these six insurance policies, you can equip yourself for unforeseen events and expenses that come along with them.